If you’ve ever played a hand of poker online, you’re probably familiar with online casinos as well. Much virtual ink has been spilled over the past few years detailing the regulatory struggles of online poker all over the world. 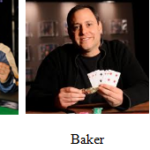 Of course, we can’t ignore the fact that the largest pool of online poker players – the United States – is painfully limited to playing legally only out of three states: Nevada, New Jersey and Delaware. It should thus come as no surprise to readers that it’s relatively difficult for operators to make money from online poker sites. Online casinos, on the other hand, are a big moneymaker (no pun intended, Chris) for operators. Gambling has been a part of every nation’s culture and history. People are always enticed by the adrenaline rush of winning in games; particularly casino games. 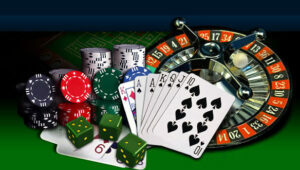 Casinos have provided entertainment to millions of people all over the world, but online casinos are relatively new. Here, then, is a brief history of online casinos and what they offer players. Basically, an online casino is just the same as a land-based casino in places like Las Vegas; only online. 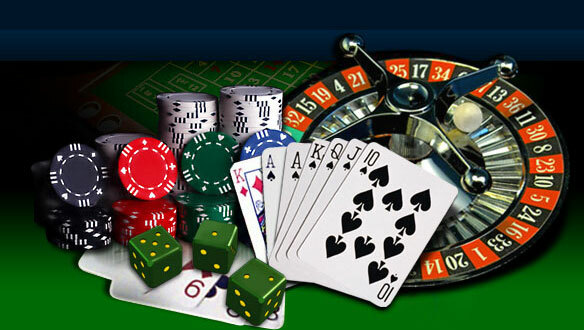 Usually, games in these websites are replications of the actual live casino games. 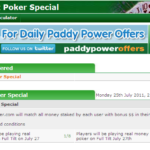 Of course, they also involve real money wagers and winnings. Among the gaming offerings you can find at online casinos are video poker, roulette, blackjack, keno, craps, baccarat, and hundreds of different types of online slot games. While some of you might be wondering what the appeal of an online slot game would be, beyond the free spins offers usually given to new depositors, having played quite a few of them myself, I can say from firsthand experience that they’re pretty fun. Many of them sport Hollywood movie themes, often including clips of blockbuster movies; that’s always entertaining. Of course, there are also the thrilling bonus rounds, in which you could potentially scoop loads of cash. That’s something that every online (or live) poker player could identify with. Just like with online poker, there are numerous deposit methods that can be used to get money on to, and withdraw funds from) an online casino site. If you use one of their “alternative payment methods”, you might even score yourself a bit of a bonus. Let me ask you this question: do you feel safe playing online poker? Assuming you only play on regulated sites – and that you don’t have PTSD from possibly getting screwed over in the Absolute/UB or Full Tilt scandals of yesteryear – chances are you feel that your funds are perfectly safe. Rest assured that the same proves true when playing at an online casino. The best ones routinely undergo testing by third parties to ensure fair gameplay and also proudly display their licensing certification from different jurisdictions all over the world. Usually, dealing with money online is somewhat uncomfortable. So, there are times when online transactions may not be as safe as they can be offline, especially when it comes to untrustworthy online casinos. This is why choosing the most reputable, credible and well-reviewed online casino websites is of utmost importance. It also pays to ask around amongst your friends to see if they’ve ever played at an online casino and, if so, to get their recommendations. This ought to go without saying, but you can never be too sure – so here’s your warning: never disclose any of your own personal information through email. Scammers and bogus casino websites often attempt to get you to reveal this type of information, so it’s important to be on the lookout. Changes to one’s account details should be made directly on the website and with a secure connection, such that everything will be private and protected from abusers. Bottom line: Millions of people wouldn’t be playing at online casinos if they didn’t feel their money was secure. One benefit of playing online casino games will be familiar to the online poker players among us: you don’t have to get dressed up! Some casinos, in Europe especially, require a mandatory dress code. With online casinos, you can play while lying in bed in your undies! Of course, not having to commute to and from a land-based casino is something that all players can appreciate, especially those with physical disabilities. There are, of course, plenty of other benefits, too numerous to list here. What can’t be argued, however, is that online casinos are here to stay. Whereas playing online casino games may not bring the same fame as playing online poker brings (if you’re successful), it still has the potential to bring joy and entertainment to your computer or mobile console when you fire up your favorite games to play.